Learn how to barbeque beef ribs on outdoor grills or in barbeque smokers for some of summer’s best eating. Whether you are in your backyard, camping or a picnic in the park, these bbq recipes are always delicious. Whether you are cooking ribs plain or lathering them with a delicious finger licking sauce, they are always the highlight to any summer cook out. 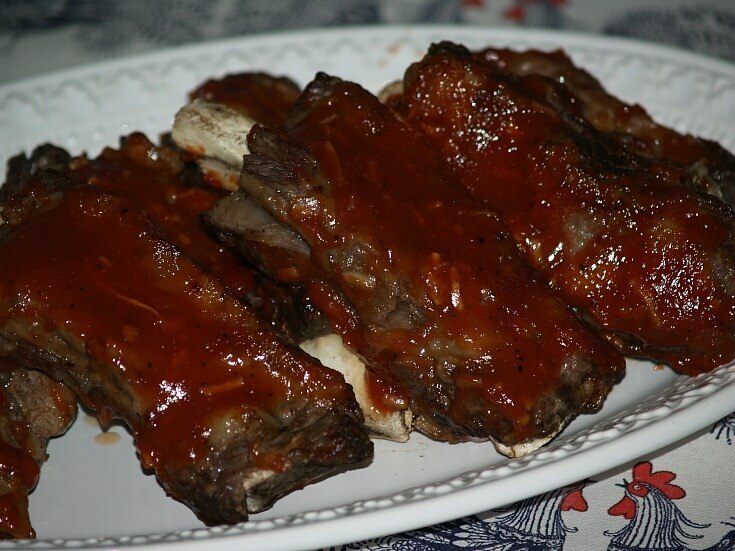 You can learn how to barbeque beef ribs by many methods such as on the grill from cooking them in a basket, placing them in a pan or laying them directly on the rack. Many people choose to partially cook the ribs to render out some of the fat and to save time in the grilling process. If you learn how to barbeque beef ribs with direct exposure to the source of heat as in grilling is man’s modern version of the oldest culinary technique. Whether you like the ribs grilled without sauce soaking in the flavor of the fire so you want to gnaw at the bones or if you like to sop up every bit of a “finger licking” sauce, this is barbeque at its best. In a large pot cover ribs with water and place on high heat. Bring to a boil, reduce heat and simmer until fork tender about 2 hours. Remove ribs from water to platter; refrigerate until ready to prepare. About 1 hour before serving time PREPARE outdoor grill. In small bowl combine ketchup and remaining ingredients. Place ribs on grill over medium coals brushing with sauce frequently. Cook 20 to 25 minutes until well heated. NOTE: Instead of grill ribs can be heated under broiler. Place ribs in a large kettle; add bay leaf, black pepper, salt, ½ cup vinegar and enough water to cover the ribs. Bring to a boil; reduce heat and simmer for 60 minutes or until ribs are slightly tender. 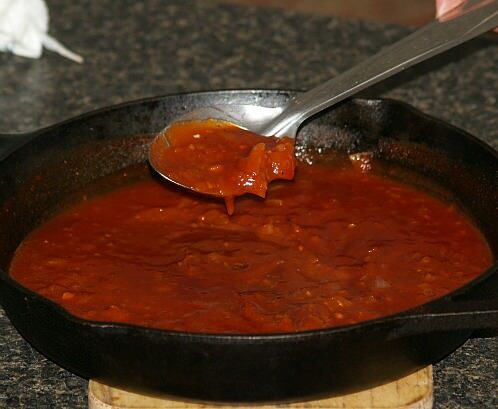 Combine and mix a basting sauce in a saucepan with the oil, 2 Tablespoons vinegar, brown sugar, onion soup mix and hot pepper seasoning; bring to a boil stirring. Grill meat 5 inches from prepared coals 10 minutes on each side basting frequently. In a large kettle combine ribs with quartered onion, salt and pepper; add water to cover. Combine in saucepan the vinegar, dry mustard, chopped onion, brown sugar, Worcestershire sauce, catsup, chili sauce, lemon juice and garlic to make barbeque sauce. Simmer sauce for 1 hour stirring occasionally; add cayenne. Roast ribs about 6 inches from the prepared coals, brushing several times with the barbeque sauce. Arrange ribs in a shallow glass dish, cover with plastic wrap and microwave for 15 minutes. Sautee onion and garlic in hot oil in a large heavy skillet. Add in the skillet and stir in tomato sauce, red wine, brown sugar, salt, dry mustard, chili powder, hot pepper sauce and black pepper. Heat mixture to a boil, reduce heat and simmer covered for 20 minutes. Oil grill lightly and place ribs over medium hot coals. 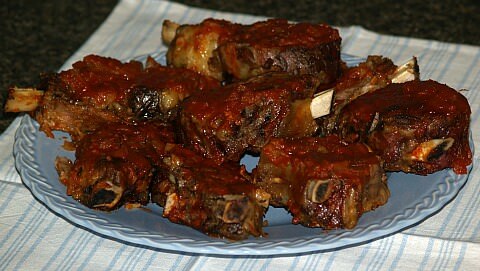 Cook ribs until tender basting often with sauce. Combine butter, onions and garlic in saucepan; cook over low heat 15 minutes or until onions are tender. Remove from heat and add mustard, honey, liquid smoke, lemon pepper and sugar. Grill ribs over medium hot coals covered with lid 30 to 35 minutes or until meat is tender. Brush ribs generously while cooking.